In the USA, video poker exploded onto the brick-and-mortar casino scene in the 1970’s and expanded into all corners of the globe, rapidly becoming a favorite game among many casino gamblers. Even today casino patrons and USA online casino gamblers tend to enjoy video poker because of the multiple variations, entertainment value, and skill associated with the game. 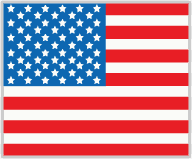 This page will address the legalities of USA video poker as well as the history, emergence, and the best options for accessing secure, legally sanctioned video poker games both online and through brick and mortar casinos. Is Online Video Poker Legal In The USA? Yes, online video poker is legal in the USA because there are no federal regulations that ban online poker or the use of licensed casino sites that provide the service. Online video poker has become a multi-million-dollar industry and is one of the most popular USA casino games of all time. Ever since the Department of Justice’s 2011 interpretation of the Federal Wire Act, individual states have had the right to allow domestic casinos to offer online poker or casino gambling to their residents. To date, only a handful of states currently allow online video poker gambling from US-based casinos. We expect the number of state-regulated online casinos to grow over the next decade, expanding the range of options for US players. In addition, American players also have the option of playing real money video poker games through licensed and regulated offshore online casinos such as the ones listed in this guide. Can I Play Online Video Poker On My Phone Or Tablet? Yes, the recommended online casinos above all have mobile abilities. To access the mobile features simply log in to your account from your mobile device. The sites listed above have a responsive web-based technology that automatically redirects you to the mobile platform without the need for an application download. Are There Video Poker Bonuses Available Online? All of the online casinos featured on this page offer various welcome bonuses and reload bonuses, typically structured as a deposit match bonus in which the casino agrees to match a specific percentage of your deposit (or series of deposits) up to a maximum designated amount. Whether or not video poker games qualify as an eligible game in claiming any bonus offer varies by casino destination and the specific promotion. Sometimes video poker is eliminated from bonus eligibility altogether, and other times it is simply valued at a lower rate for meeting wagering requirements of the bonus offer. You will be able to narrow this down by reading the terms and conditions of the offers. Playing video poker in free play mode is a great way to learn how to play, become acclimated to the online environment, and to test out new betting strategies. It is available at most online casinos and we highly recommend taking advantage of this option if new to the game or trying to integrate new strategies into your gameplay. The house always has an edge, but video poker provides the best advantage to experienced players with no bluffs or bad beats. Since the game of poker is based on skill there is a much better player advantage to anyone who knows how to play the game and can minimize their chances of losing big. Video poker algorithms tend to have a house advantage of about .25% to 5% giving the player a much better chance of winning or at least not losing all their money quickly. The longer your money lasts, the longer you can play and the better your chances are for hitting a big jackpot. Random number generators are used to provide the randomness of the card draw for video poker games. Today most RNG’s uses computational algorithms that produce numbers or symbols that cannot be reasonably predicted better than by random chance. A licensed casino will have their number generators tested for fairness. Compliance records will often show that the casino has allowed a recent inspection and testing of all RNG’s and other algorithms. Before there was video poker, there were poker machines. Poker machines were invented around the turn of the 19th century and provided users with a fun game of chance. Since gambling was illegal in most of the US at that time, early poker machines would often pay out winnings in drinks, cigars, or cigarettes. Early poker machines only accepted change and had a pull lever like classic slot machines. Sources state that poker machines would often only use 50 cards on the rotary wheels. Developers would often cut the 10 of spades and the jack of hearts out the deck to minimize the chance of a royal flush and to add a further advantage to the house. Dale Electronics is credited for introducing the first video poker machine “Poker-Matic” in 1970. The Poker-Matic was not very popular but made its way into many of the casinos in Las Vegas and would eventually pave the way for future virtual games. Throughout the 70’s and 80’s video poker machines would transform into a casino room staple with the help of additional gaming developers. 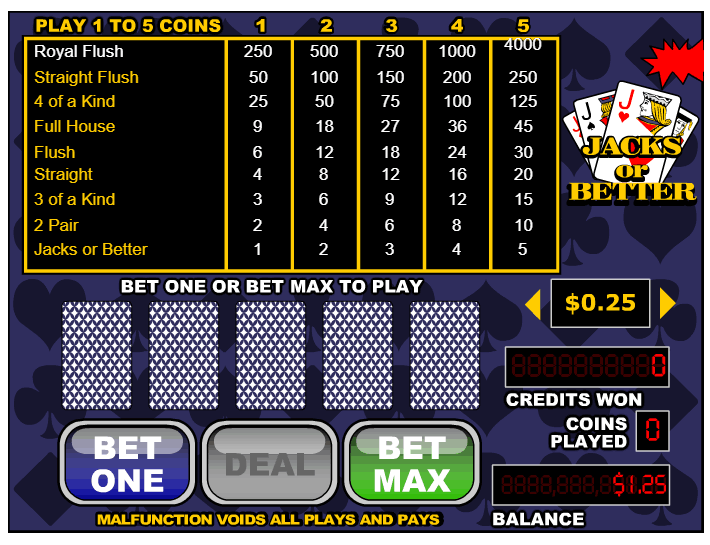 Today video poker machines house a variety of poker games that can be accessed with the push of the screen or the click of the computer mouse. They also only accept dollars or tickets, no coins allowed.